Categories: Best Sellers, Most Popular. 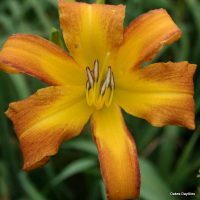 One of the most popular and award-winning double daylilies of all time – vibrant gold blooms shine across the garden. A very vigorous performer. I’ve had Condilla for several years now. It’s absolutely gorgeous and a reliable rebloomer — and I have really crappy soil. It absolutely deserves to be a best seller. 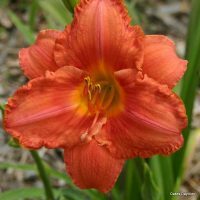 I bought three Condillas last year as an experiment, seeking a shorter daylily to use as a permanent border plant. 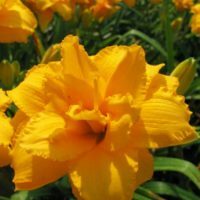 It’s beautiful gold color is a nice accent for my taller daylilies behind it. It is blooming like crazy down here in Texas. Sometimes, three will bloom on a scape at once, looking like a little bouquet. I love it. A triple! This one had moved from my lily garden to the ‘main stage’ in my front yard. With so many ‘garden variety’ (terrible pun…sorry) lilies in the neighborhood, I love having such a ‘loud’ flower making a statement. I made my first purchase from Oakes last fall. All of the plants were HUGE. I divided several, including Condilla to have a wave of color over some hills I had built. All were stunning this year, but Condilla blew me away. 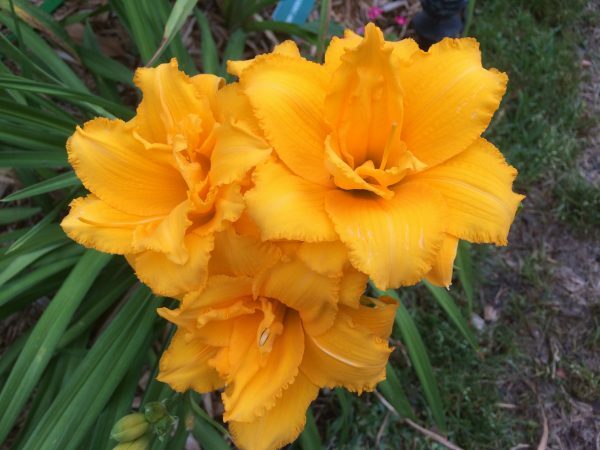 Not only is the color a deep, rich golden that is irresistable, but it is a prolific bloomer. In its first summer of bloom, there were 54 blooms! No kidding–I counted. 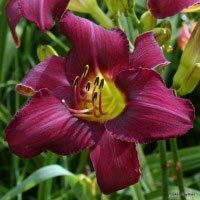 I am so looking forward to this beauty becoming a centerpiece on my “Hills of Daylilies.” Thank you Oakes for the extraordinary quality of your product. I am normally not a fan of doubles, but this is the exception to the rule. I love the bright bold color, and the double blooms are gorgeous! I think this plant is very similiar to the Prester John, both are delightful! Cabin Fever has a hold on me. Snow everywhere, but underneath is Condilla waiting patiently to burst forth and bring smiles to this winter weary face. Course I’ll have to wait awhile, but the thought alone of the golden display is warming. I eagerly look forward to Condilla blooming in my garden every year. I always have to do a double take as it looks as though the plant is a triple instead of a double. My Condilla is tucked away in a partially shaded area, but its bright color draws the eye immediately to that area of the garden. 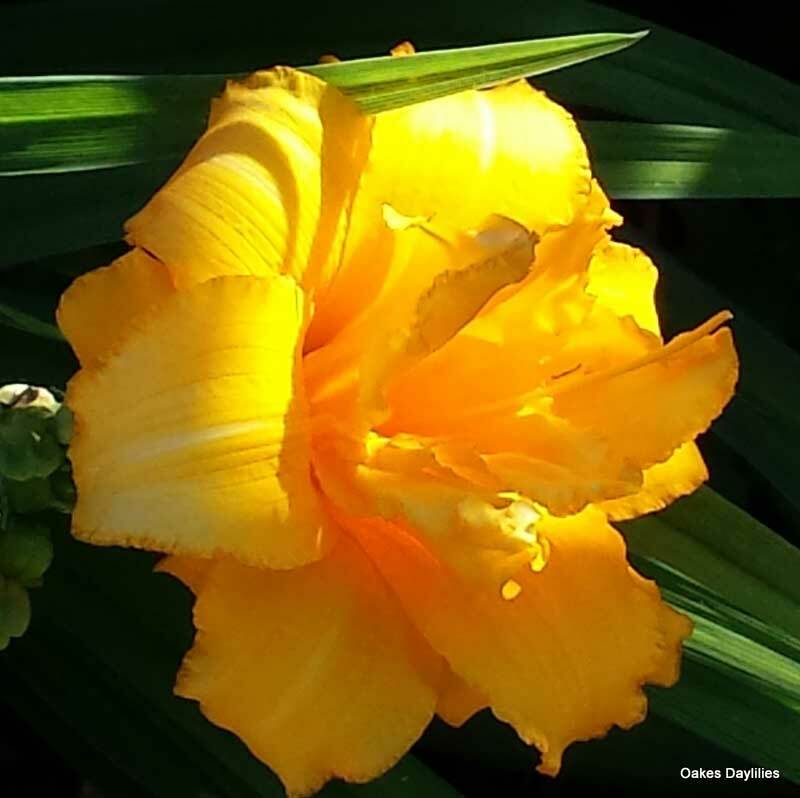 I have lots of yellow and golds in my daylily garden, but when Condilla first bloomed, I had to go and check…I had never seen such a brilliant gold before! It was stunning! Much darker than its picture, this one is so vibrant it overshadows the rest! This has a wow-factor of 10+. Received this as a bonus plant that had so many fans it had to be divided before planting. Wow! 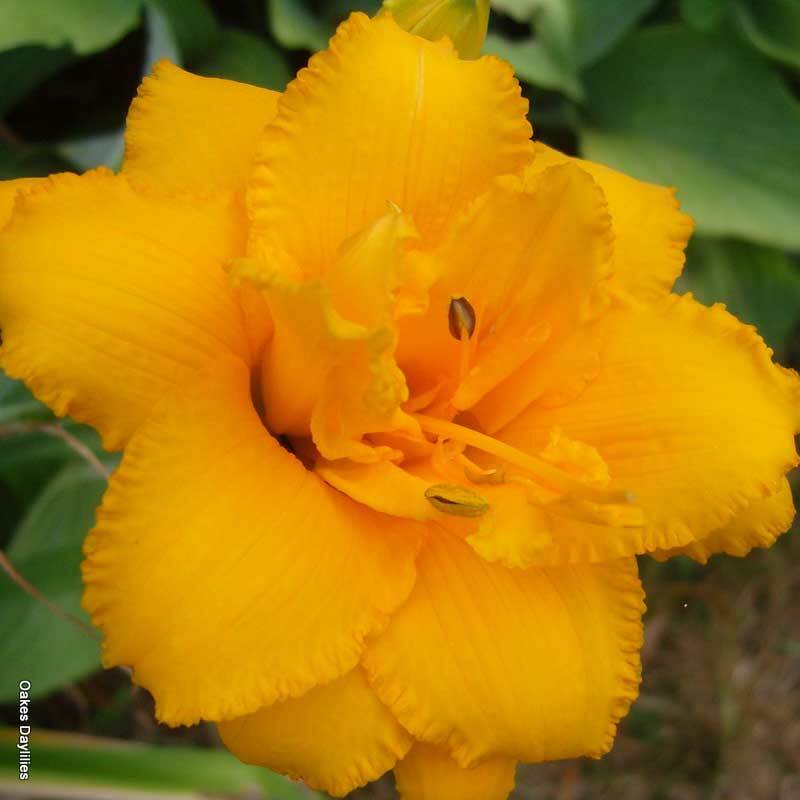 What a totally great daylily! We love our golds and yellows and this double is one of the best. The first blooms looked like carnations. You can’t go wrong with this one, especially at the great price. Condilla is absolutely stunning. In my garden this plant is a standout beneath Rosa ‘William Baffin’ and next to Geranium sanguineum. Unfortunately, the deer love Condilla too. I love the size of this one and the fact it is a double. But I was a bit dissappointed with the color. It is a bit harsh. I just like to say it’s name. 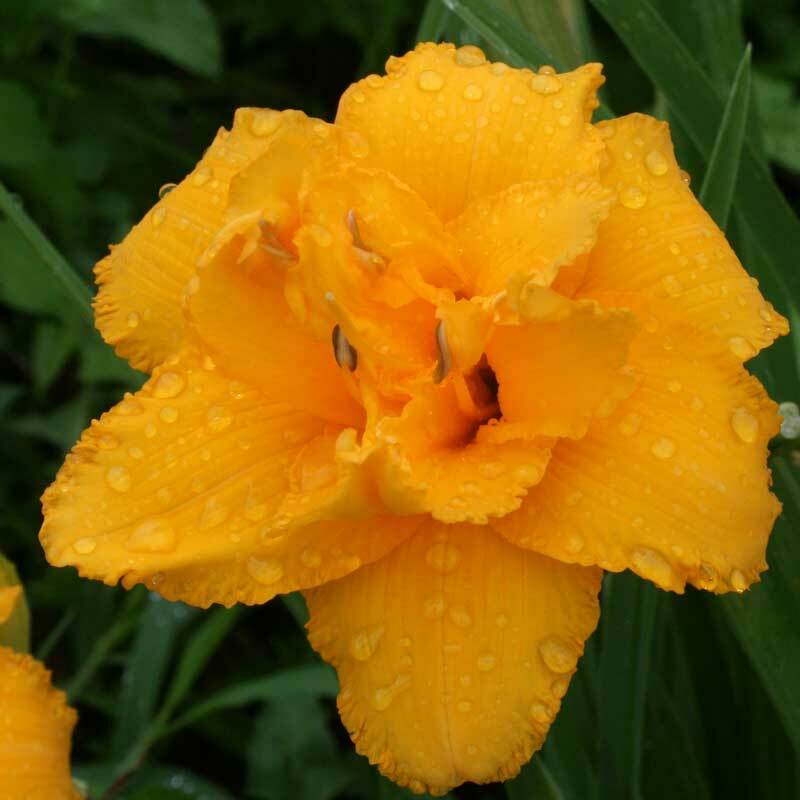 Man I’m telling you, if you want a double daylily, order Condilla – it’s worth it. 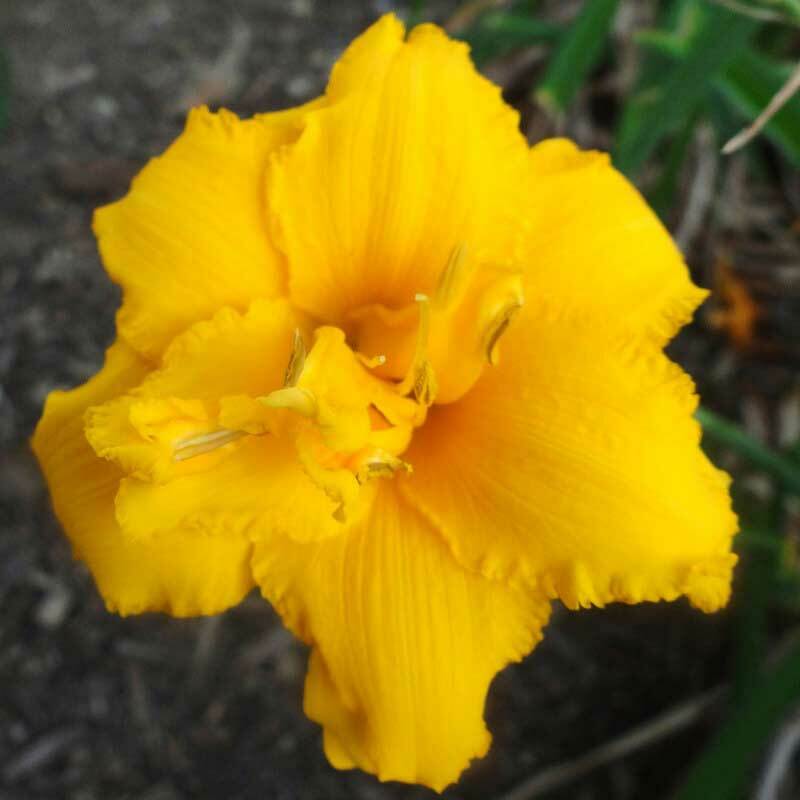 Although I now have over 200 daylillies, this was one of my six original daylillies, and it’s still one of my favorites. Actually, it multiplies so well that now it’s twelve of my favorites with a few given to special friends too! They line my sidewalk, and they put on a real show every year. Condilla is bright, fully double, and amazingly floriferous. This one won’t disappoint! An excellent performer. Lots of comments. 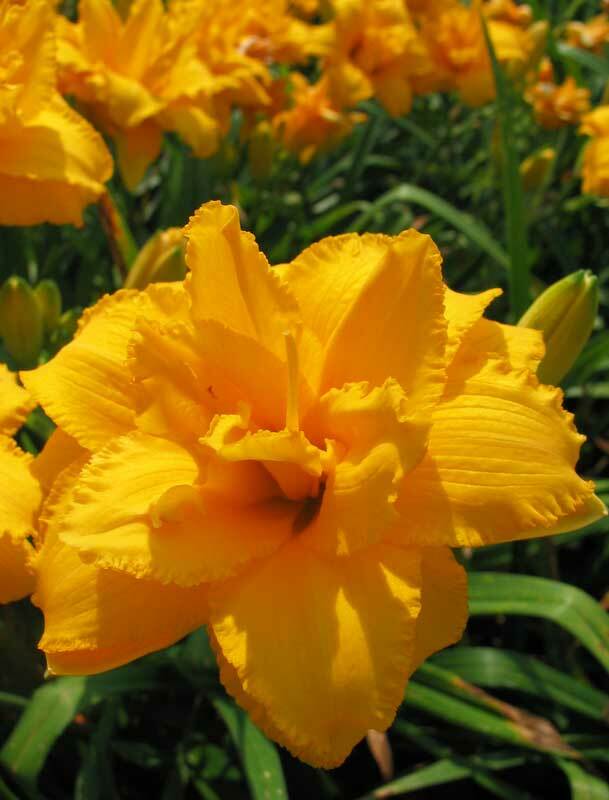 A bright golden yellow which draws attention while still blending well in the perennial border. Being double gives it a lot of character! What’s not to love? 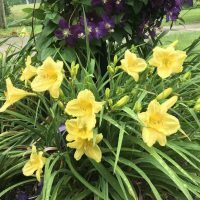 Pretty powderpuff -double flowers dressed in clean golden yellow produced on well-branched scapes, forming a well-proportioned plant that flowers freely and reblooms faithfully here. A reliable classic for any garden where consistent performance is rated above flashy trimmings.The “plain” color makes it an easy mixer in the garden. Lovely with Shasta daisies and blue and/or red flowered perennials and annuals. Healthy, hardy, grows and multiplies well.